Victor Wanyama has handed Tottenham Hotspur a timely injury boost but Mauricio Pochettino could be without five other players for Saturday’s trip to West Ham, according to Sky Sports News. Wanyama scored during Kenya’s 3-0 victory over Ethiopia in their African Cup of Nations qualifier on Monday but the Spurs midfielder failed to finish the game after limping off during the second half with a hamstring issue. It sparked concern that Wanyama was set for another spell on the sidelines with the midfielder struggling to overcome a number of injury problems over the past 12 months. However, Tottenham have been handed a boost as Kenya’s head coach Sebastian Migne has played down fears over Wanyama’s condition by insisting his injury is nothing serious and his withdrawal was just precautionary. 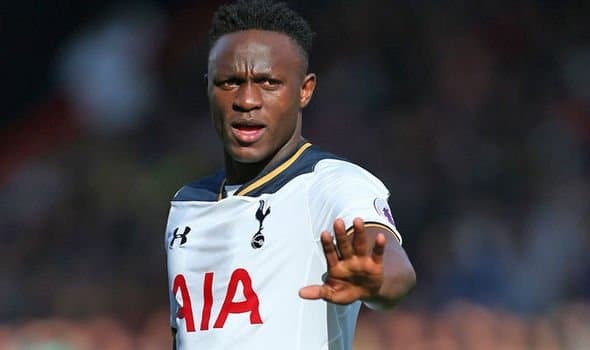 He will still be further assessed by Tottenham’s medical team when he arrives back in the capital but Sky Sports News claim Wanyama is expected to be available for the trip to West Ham on Saturday afternoon. That would come as a timely boost to Pochettino as he sweats on the fitness of several players with Christian Eriksen, Dele Alli, Serge Aurier and Mousa Dembele all facing late fitness tests ahead of this weekend’s action. Eriksen has missed Tottenham’s last few games with an abdominal injury while Alli hasn’t played for the first team since September due to a niggling hamstring problem and both players are doubts for the West Ham trip. Aurier is another player that will need to be assessed over the coming days as he bids to return from a thigh injury while Mousa Dembele has also been carrying his own thigh problem in recent weeks. All four players will be checked by the Tottenham medical team ahead of the trip to the London Stadium this weekend but one player who is certain to miss out is Jan Vertonghen as the centre-back has been ruled out until December with a hamstring injury. Tottenham fans can ensure access to live streaming anywhere in the world with the help of this streaming guide from ExpressVPN.